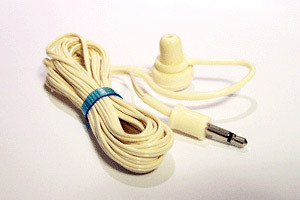 I’VE BEEN FIDDLING with ‘phones for a long time, ever since I started using the off-white mono in-ear numbers with the thin cable that we used to plug into FM radios back in the day. Then came the old fashioned over the ear models, usually in brown plastic and stainless steel with the obligatory sweaty leatherette earpads. These were followed by a raft of lightweight headphones on a range of cassette Walkmans (Walkmen?) before earbud style ‘phones took over the world of portable audio. Since then, I’ve used everything from the most basic of giveaway el cheapos, the not much better versions supplied with portable players and a series of aftermarket models in price segments ranging from ten bucks to well over two thousand dollars (see them here). Single driver and multi driver, conventional cone and balanced armature, ear bud to in-ear, I’ve listened to heaps of them over the years. While I can’t claim to have heard them all (and no one can), I’ve heard enough to come up with a list of features that would go a long way to making the perfect set of portable ‘phones. These very models of the modern state of the art wouldn’t be cheap but they wouldn’t need to be range toppers either. I’ve previously pontificated on the virtues of replaceable cables and while I know that it adds complexity in the form of potential failure points, heavier cable gauges and multiple connectors, if it’s done right, it transforms the ‘phones from an expensive short to medium term consumer item loaded with “planned obsolescence” feature to a long term value for money offering. Ultimate Ears uses a simple two pin connector on its higher-end ‘phones that allows the cable to be replaced. My personal pair has been with me for years and is on the second replacement cable (third cable all up). They survived a year-long on the road phase where they were my primary music device and were usually wrapped around an iPod and stuffed into a pocket or backpack. Without the replacement cable, they’d have been binned after a year or so but they’re as good as new despite all the travel miles. I’ve never had any issues with the cable connectors coming loose; in fact, it’s hard to tell that they exist in the first place. 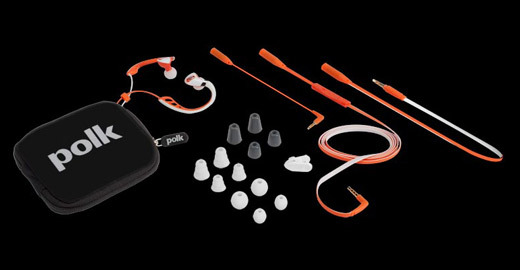 The earbud style ‘phones supplied with most portable players are much of a muchness, providing average sound quality, vague fit and minimal noise isolation. If you can’t cut out the external noise, you’ll end up cranking up the volume and that’s a really bad idea over the long term. So in-ear ‘phones are the way to go. The only problem with these is that not everyone can tolerate a set of ‘phones shoved deep into their ears. From an isolation and fit perspective, models with shallow insertion depths are better than the kind that sit outside, but best of all are the ones with the foam eartips that go all the way in. [Ooo-aah! – Editor of saucy double entendres]. The perfect ‘phones should ship with a bunch of tips made of different materials and in different shapes. Allow the user to find the set that they like: after all, the set they use at the gym or on a long-haul flight might well be different to the one they prefer when listening at home. Make the tips easy to interchange with specific replacements easily (and cheaply) available online – the foam kind don’t last long at all, the silicone ones soldier on until they’re lost but they eventually do go AWOL, usually on a plane, so spares are essential. A slightly gross ‘phone factoid for you – if you’re planning on sticking things in your ears, you’re going to have to deal with earwax on (and in) said things. Some people exude more wax than others but however you roll, you most certainly don’t want to let the wax build-up get out of control. Shure and Ultimate Ears supply little tools to help scrape off the wax and ease it out if it has made its way into the recesses of the ‘phones. While anything pointy could be used, a paperclip for example, there’s a danger that a heavy hand will destroy a driver, so a properly designed tool of some sort is mandatory with the perfect ‘phones. It seems that quite a few ‘phones are treble-shy, perhaps because the designers know that many users will be listening to either low resolution rips and downloads or horribly recorded modern music (or both). Neither option is all that inviting when heard on a set of good ‘phones, especially with a well extended and revealing top end, but I say “tough noogies” – let the punters upgrade their music to match the quality of the playback device, don’t dumb down the playback device to match the music. Balanced Armature Drivers (BAD) have their drawbacks (see this review for more information on BAD vs. conventional drivers) but all in all, they’re the route to the ultimate in portable fidelity. Much as I love the idea of a single driver system, with no evil crossover network to mess with the purity of the sound, the best in-ear ‘phones I’ve heard have made use of more than one driver. Properly implemented, they seem to offer the best balance between detail resolution and frequency extension. A carry case is a nice touch with any set of portable ‘phones but should be a non-negotiable item on the perfect ‘phones. A crush-proof type is ideal to extend their life, ideally with enough room to drag along a spare pair of eartips and a cleaning tool in a little zip lock bag. The metal clamshell case supplied with Ultimate Ears products is dead right – no need to reinvent this wheel. Portable players get shoved into pockets, cables get abused and having the cable sticking straight out of the player is a lousy plan because that connector is eventually going to have problems, strain reliefs not withstanding. A solidly made, low profile ninety-degree connector is a much better bet. The perfect ‘phones have a detachable cable, right? So include two cables – one can be the usual type, the other should be fitted with an in-line microphone and remote control for Apple products (and other smartphones and music players if their makers ever get their act together enough to come up with a common standard). While you’re at it, offer different lengths of cable as accessories. The most secure and best fitting designs tend to be those with a non-asymmetric cable that runs over the ears and can then be routed behind or in front of the head as the user chooses. These ‘phones stay in place and don’t snag as often. Just the cables go over the ears though, we don’t need a bendy plastic number to keep them there. 4. Small and discrete, so I don’t look even more dorkish than usual! Nice list Frankie but I have to cut out that outside noise pollution or it drives me batty (okay – more batty). From the squealing spin class instructors at the gym to the old couple yammering away behind me on the plane, they all need to be isolated. I tried a set of active noise-cancelling ‘phones for a while but they weren’t kind to the music and were a pain to lug around on trips, so in-ear is my only real option.